It's rare that you discover a gem in your own backyard. Although this back yard is about five hours from the Athens, Georgia, area, located in southwest Georgia, Thomasville feels like few towns we've experienced lately. It's perfect for a long weekend escape made even better with some cool in-between stops (Jimmy Carter's home in Plains, Americus, and a little west, Senoia a.k.a. Woodbury) to boot. With that coastal vibe, yet located securely within the triangle of Georgia-Florida-Alabama, it is only minutes away from Florida's coastline (Tallahassee), two hours from Dothan, Alabama, and a world away from the rat-race of everyday. It hosts a downtown area that offers dining and shopping while staying true to its historic charm and authenticity. As you stroll down main street, enjoy a hotdog at Billard Academy (67 years young) and cheese and wine at Sweetgrass Dairy. In case you need a little help at Sweetgrass, try the Cheese & Charcuterie's Taste of Thomasville (Thomasville Tomme will be going home with you, just so you know) and let your taste buds soar! Then, scoot into Broad Street's shopping mecca - any girl will think she's hit the jackpot - from Broad Street Clothing Co. to Firefly, the finds are extraordinary. And if you're a foodie, oh my heavens, one pit-stop at Relish will fill the need for more luggage. And when you need an energy boost, Moonspin Pizza on North Crawford will refresh the Italian in us all. One we're dying to try during our next visit - Jonah's Fish and Grits. Locals raved! As shopping and dining cater to your unavoidable need to enhance the community's economy, there's a probability of an art show, a music festival or a historical walk that will gift to you the community's virtue. 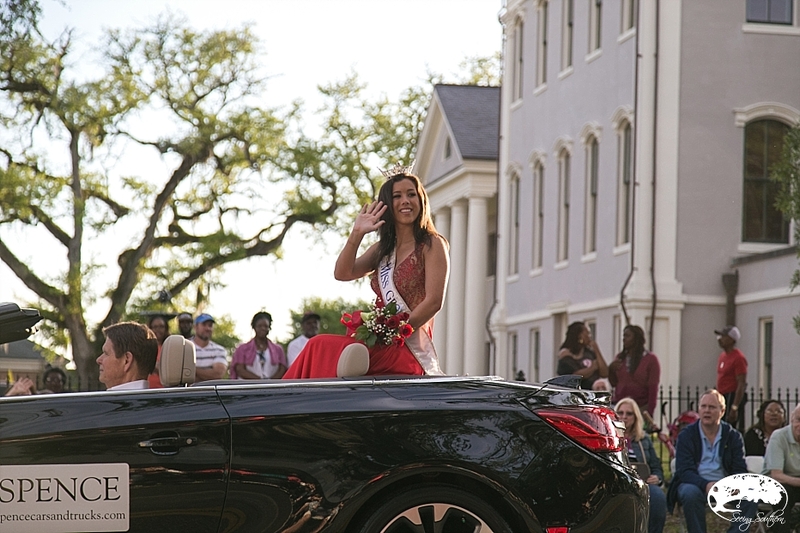 Celebrating 96 years of beauty, Thomasville crowns its most beautiful rose and its most beautiful lady during its traditional Rose Show Festival the last weekend in April. 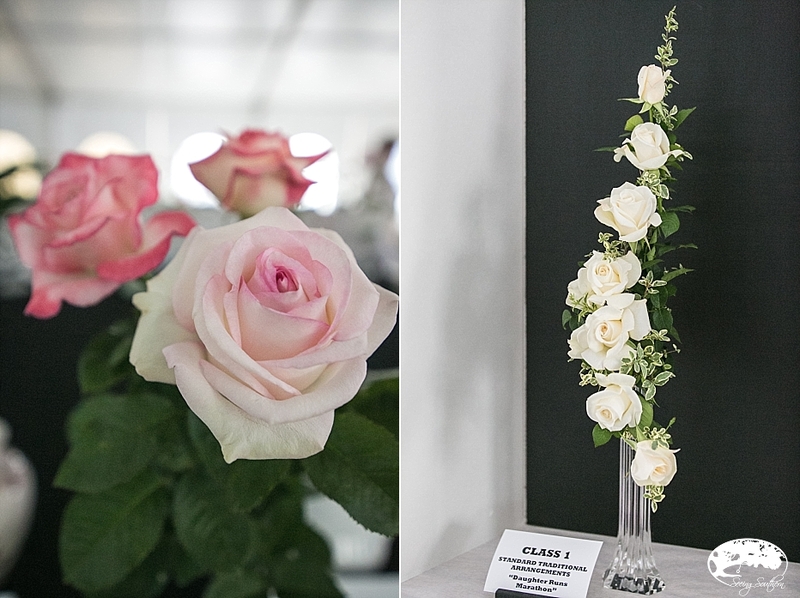 From orchids on parade to the rose show, natural beauty is showcased and celebrated. Billard Academy of Thomasville, located on Broad Street, speaks my language. Pool room + hot dogs = a tradition as old as America itself! It falls into the same category as eating a hot dog from a vendor on the streets of New York City - something you have to do once in your life. Very few towns in Georgia still keep the old pool hall hopping where they serve the best hot dogs around but you have to be 18 to step inside. Thomasville and its visitors know that a chili dog from Academy is a lost art and you gotta have one - or two. If there's any doubt to the pool hall's mystique, step into the long line that forms at the street window, proving that with a little ingenuity, any age can enjoy a dog! 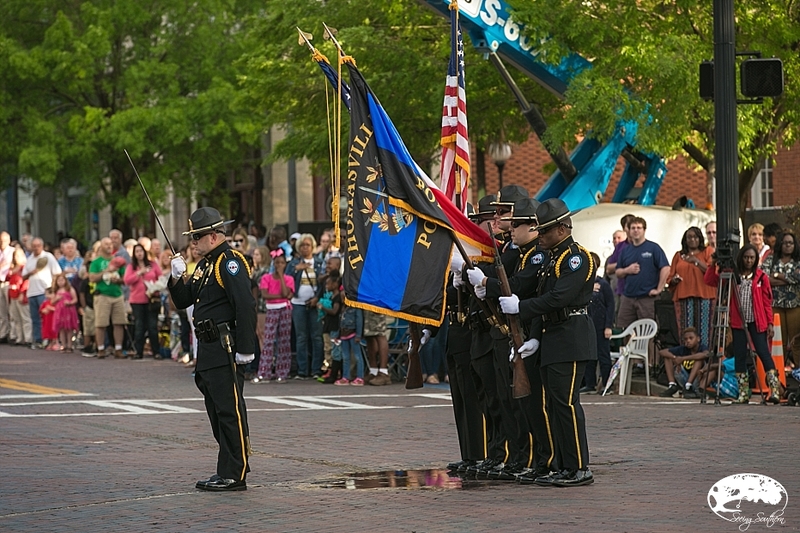 It's always a good time for a parade, and for the last 69 years, Thomasville has kicked off the weekend with it's "rose carpet" led by the presentation of the colors. From marching bands to gigantic helium balloons to boy scouts providing front row seats (what a grand fundraiser), it is one way for an outsider to gauge the atmosphere of a town - to understand the camaraderie of a community. Streets were six deep in places; children ran and played, and as the sun sank behind the Thomasville water tower, we knew that we had found a rare destination where even a visitor feels as though he is home. It's Saturday afternoon, and it's time for the Royal Tea at the Thomasville Rose Garden. Our role as writers, photographers and observers of events is always enjoyable, but this event we will always remember with fondness and smile. We watched the teenager royalty dressed in evening gowns in 90 degree weather talk and hug and share goodies with little girls who gazed in adoration at the queen and her court as those they were Cinderella and Jasmine. The little ones were breathless, almost apprehensive, as they became the object of each girl's attention. After the tea party, Len and I had the opportunity to talk and photograph the girls. Although our time with them was short, we discovered they are one-of-a-kind young ladies and wonderful representatives for the city of Thomasville. Congratulations to the 2016 Rose Queen and her court: (l to r) 2nd runner up, Honey Balfour; 4th runner up, Malley Celaya; Queen Alexandra Beadles; 3rd runner up, Hallie Turner and 1st runner up, Aubrey Brinkley. And just when you think you've done all that you can in one weekend, there's another event that includes food and music. We're there at Due South, a celebration by the Thomasville Center for the Arts for the thriving artisan community alive in the community of Thomasville. 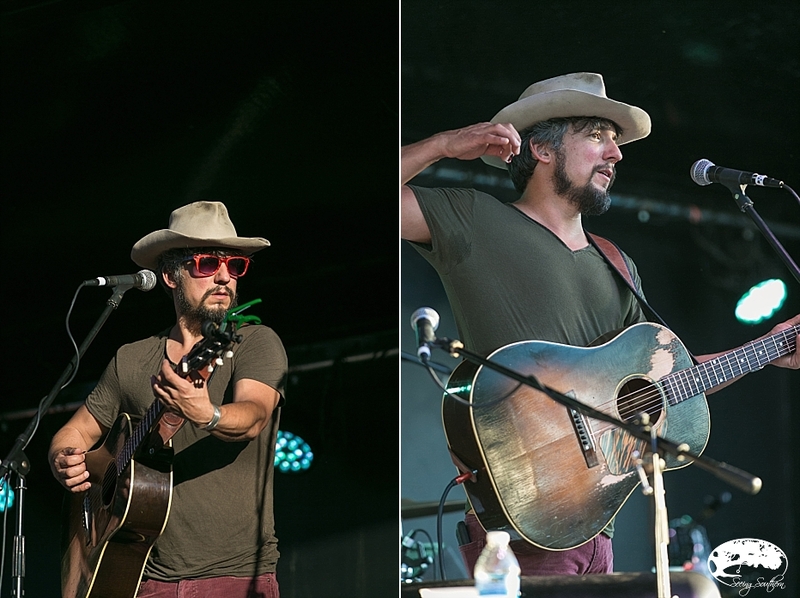 It is now in its fifth year and is designed as an art, food, and music festival to bring people into Thomasville. Local chefs and eateries shared their most unique tastes while local artisans worked in real time at Studio 209. 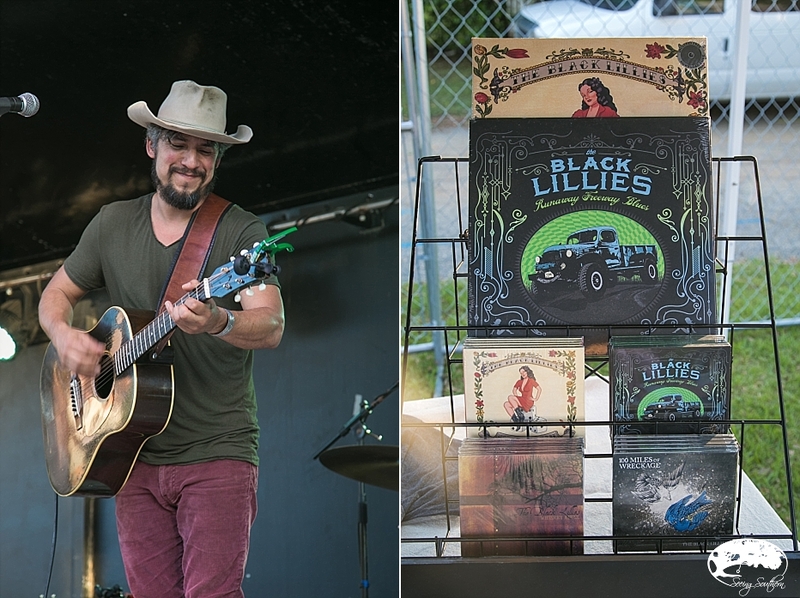 Knoxville's The Black Lillies headlined to the hundreds enjoyed the toasty spring evening. Check out their Facebook page for 2017 events. Get attracted to Thomasville and getaway this weekend. See what's happening here. For more information on the City of Thomasville, head here.